Tokyo Crusaders are teaming up with Shinjuku Giants to compete in the 2012 Spring Rugby League. The first game will be held at Hodogaya, on Saturday, 21 April, and both sides are excited to play under the new Giants-Crusaders name (only for Rugby League). 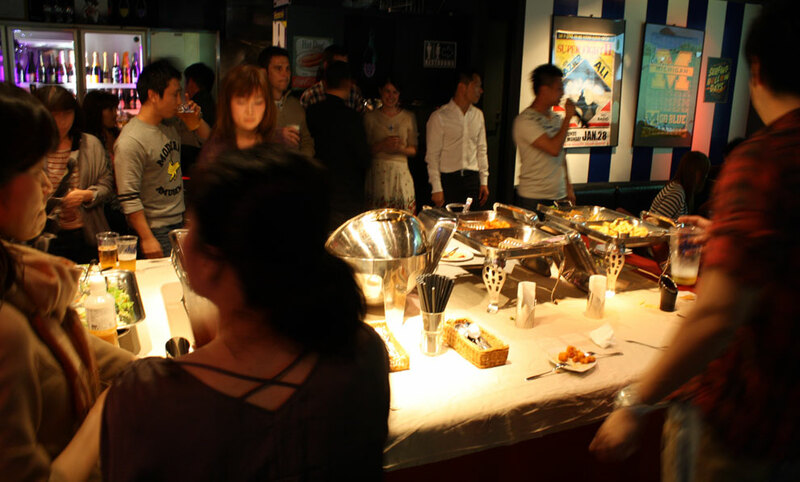 The Kick-off party was held on 14 April, and representatives from all sides gathered around the oval table of Tokyo Sports Cafe to share food, drinks and predictions for the season. Short introductions from all the new players was a crowd pleaser, and everyone passed the beer chugging without spilling a drop. Being accustomed to Union rules, the Crusaders found it hard to adapt during a recent practice game, but trainings show that we are getting the hang of it quickly. Whether you are an experienced rugby player or absolute beginner, this is an excellent opportunity to join the Crusaders, meet new people and help build the team for this exciting new competition. Write to join[at]tokyocrusaders.com to find out more!